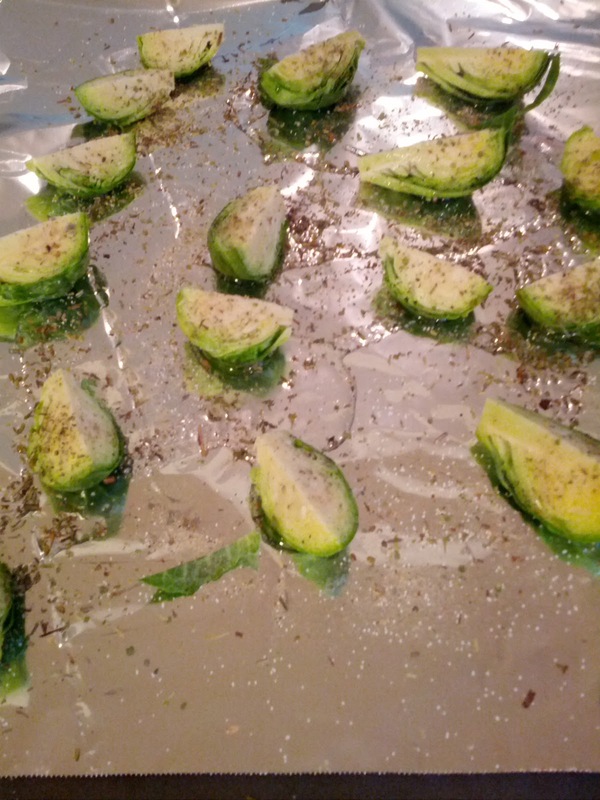 The Framed Lady: Stop hating brussel sprouts. Finally! Stop hating brussel sprouts. Finally! Brussel sprouts can be really bad. Really, really bad. Cabbage is typically a very bitter vegetable, and cooking it can often make it even more bitter. I've had steamed brussel sprouts with butter, and they're pretty good. But who want's to eat vegetables that are "pretty good?" 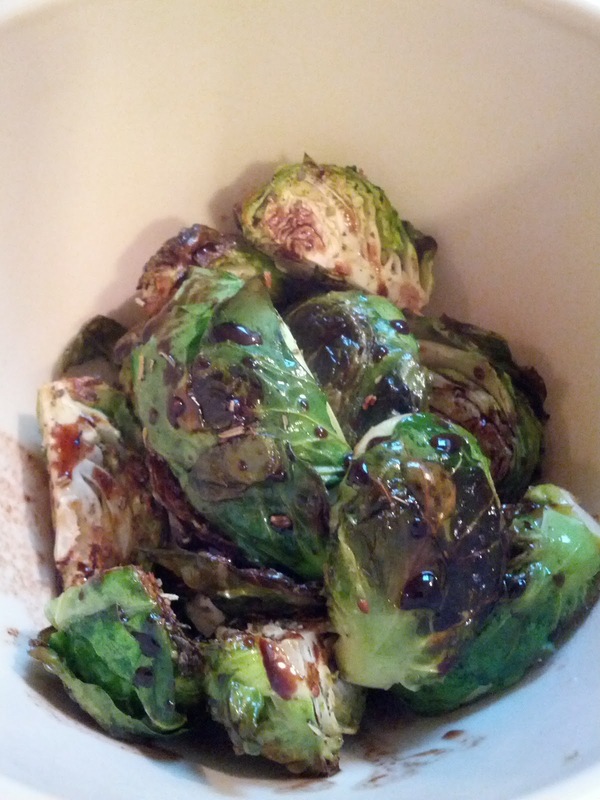 Here's a recipe for oven roasted brussel sprouts with balsamic vinegar that will change your mind about these tiny cabbages for good! Preheat oven to 400. 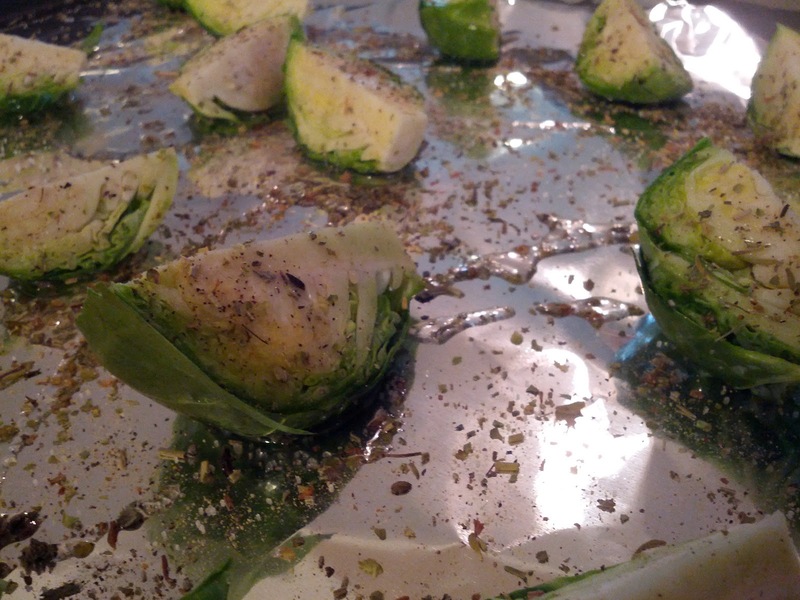 Clean 5-10 brussel sprouts (for 1-4 people). Peel off any stained outer leaves. Half and quarter them, then spread on a baking sheet and drizzle with olive oil, then sprinkle with salt, pepper, and Herbes de Provence or other Italian herb seasoning. Roast for 20 minutes, until they are soft when you test with a fork. When you take them out, toss in balsamic vinegar. The more you use, the better. They're delectable. Serve hot as a side dish to any meal! I use olive oil, salt and pepper. The key is getting some caramelization to help sweeten the bitterness. Mmmmm, they are so good. Yes! It's so yummy! They'd also be good with carmelized onions on top, because the onions get so sweet. I used to hate asperagus until I roasted it in the oven, so I am trying this for sure. Goodness knows my diet needs more green vegetables!! Some veggies are really gross until you figure out the best way to cook them! This way is super delicious. I love recipes like this that make yucky veggies look/taste fantastic. Thanks for sharing, I will have to try this!! I'm actually really excited about this recipe. My husband has been asking for a good way to cook brussel sprouts, and this should do. Thanks!